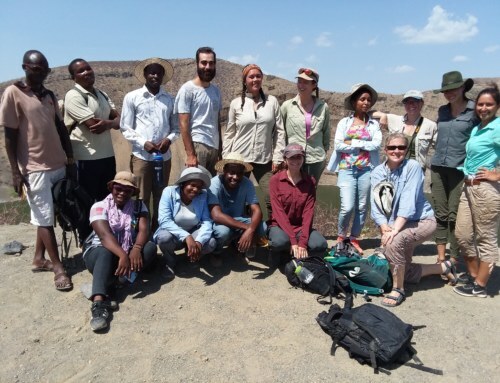 The TBI Field School students visited the Kerio Delta a few days ago to get a first glimpse of the complex freshwater ecology and dynamics that affect the deltas of Lake Turkana. 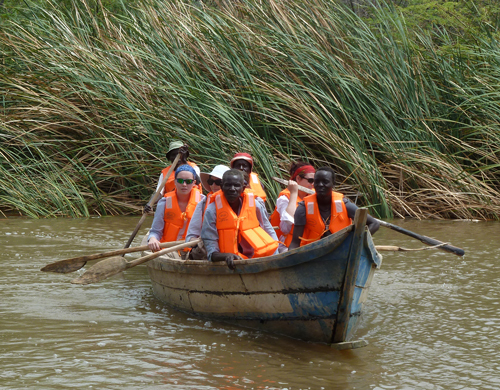 We were hosted by a group of local fishermen whose boats we used to travel into the mouth of the Kerio Delta. 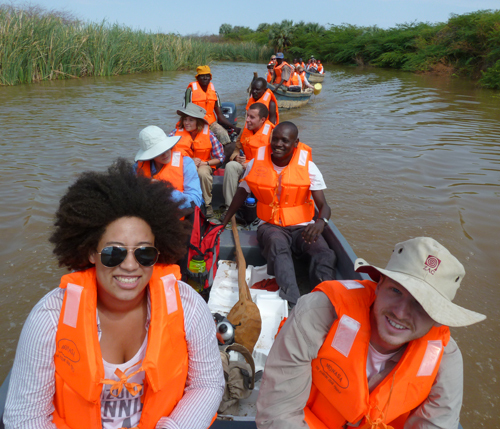 Setting off into the Kerio Delta! 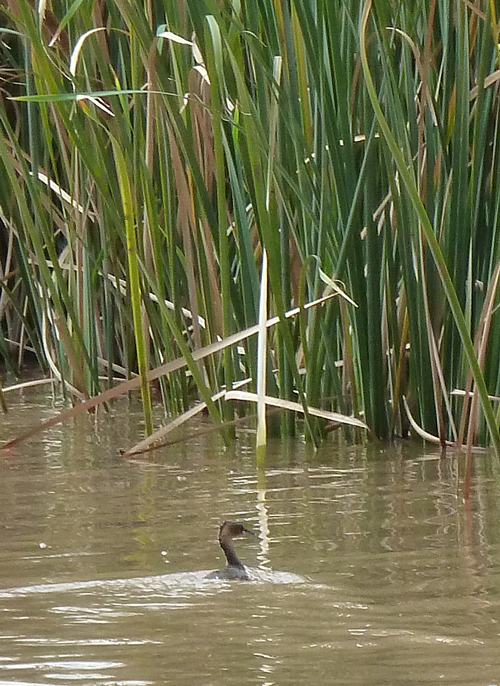 There were lots of interesting birds about, including herons, kingfishers and this Litte Grebe. 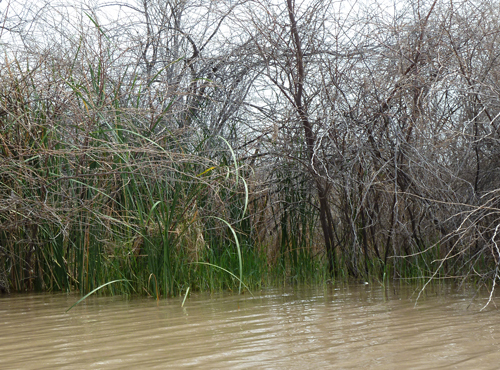 The Kerio Delta is an important area for biodiversity and breeding ground for young fish. 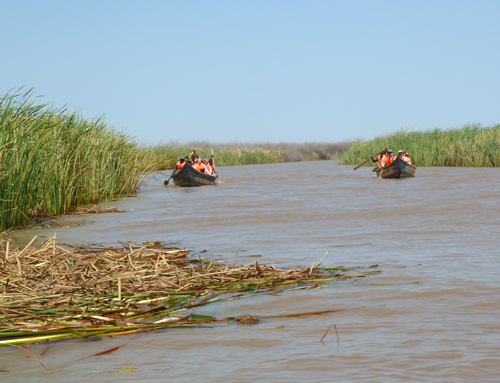 One of the issues facing the Kerio Delta, and Lake Turkana in general, is that of changing water levels. There is natural fluctuation that occurs seasonally with rains in the Ethiopian and North-western highlands of Kenya. 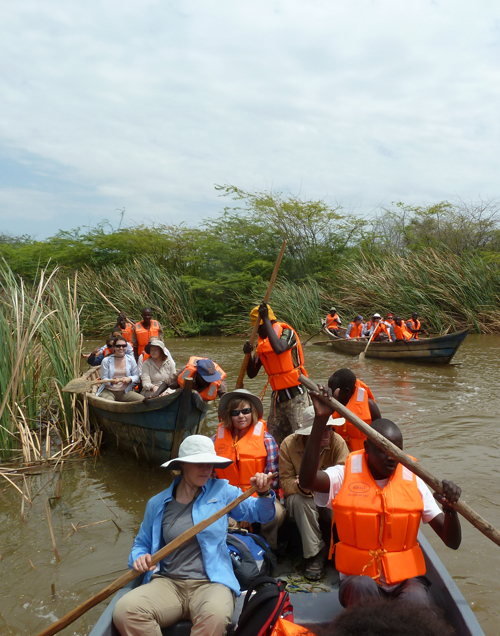 However, with developments occurring along the Omo River, which supplies around 90 % of the water in Lake Turkana, this is a very serious issue for the lake, it’s ecology and people. At present (September 2014) the lake is at a high stand, partly due to the higher-than-average rains experienced in East Africa’s highlands over the past few years. 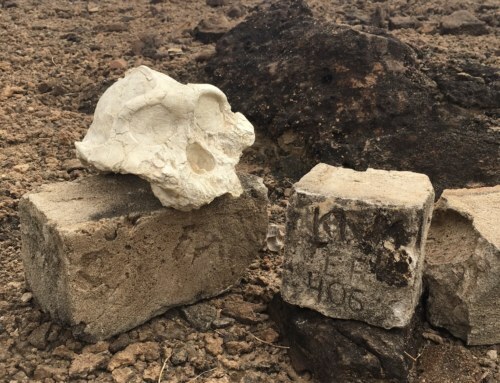 This has brought about some changes in the Kerio Delta. 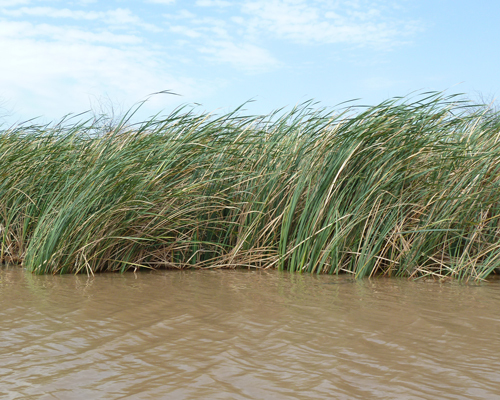 The natural vegetation of the deltas includes large beds of Typha (commonly known as bulrushes or cattails). This is a plant that grows partly submerged and, together with species of aquatic grasses and sedges, helps oxygenate the water and provides a nursery ground for young fish. Typha lines the delta channels. 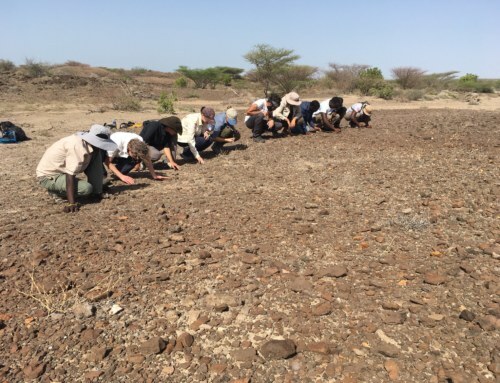 One of the ecological challenges facing the Kerio and Turkwel Deltas has been the proliferation of an invasive shrub called Prosopis (known locally as “Mathenge”). This spiny shrub grows quickly and establishes itself wherever there’s enough water – and has spread through the deltas choking out the natural vegetation. It benefits from falling lake levels or dry periods as this is when it can establish itself. 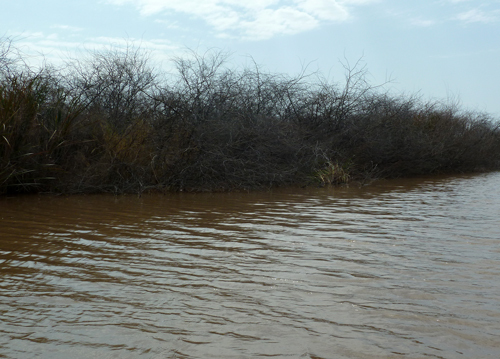 However, one of the benefits of the higher water levels is that the Prosopis can’t survive being waterlogged for long periods of time, and starts to die back. This trend will last as long as naturally higher lake levels persist, but would be reversed if lake levels dropped even slightly due to diversion of water in dams or for irrigation along the Omo River. 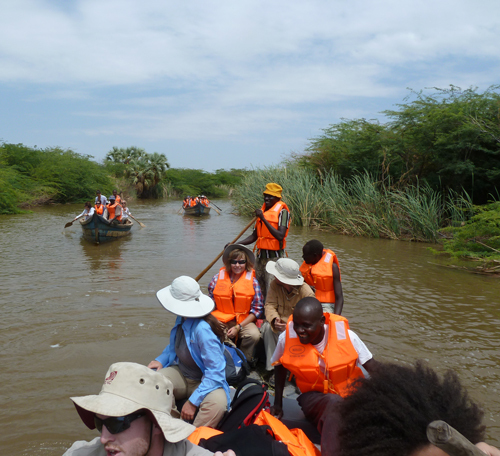 After observing the ecology of the Prosopis and Typha, we entered the mouth of the Kerio Delta, but due to the windy weather, did not venture out into the lake. On the way back, students had a short race, rowing the three boats we were in. There wasn’t a clear winner, but it was a lot of fun! Boats racing to the finish line! 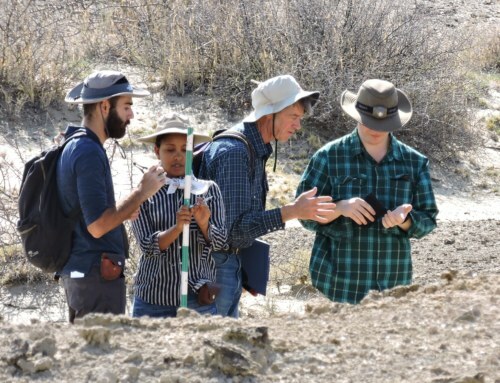 More from the Fall 2014 Field School adventures soon! Hello! I'm Dino Martins, an entomologist interested in how insects keep the planet running, the biology of vectors and more broadly in the evolution of life and our role in a sustainable world. 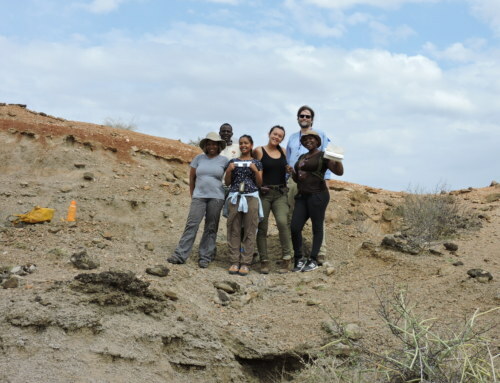 I teach for the Turkana Basin Field School and serve as the Academic Field Director and am a Research Assistant Professor at Stony Brook University.